You are one-of-a-kind! Maybe you won't be a famous celebrity in your lifetime - but there are plenty of things about you that make you an extraordinary individual. You have a colorful personality, a certain sense of style, unique likes and dislikes plus much more that sets you apart from the pack. 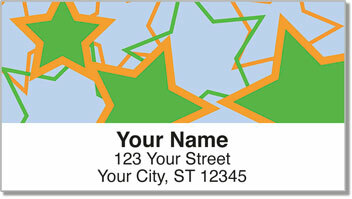 At CheckAdvantage, we are proud to offer check and label designs that are 100% original. 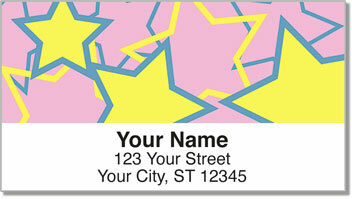 That includes these attractive Multi-Colored Star Address Labels. Not only are they exclusive to our website, they are also a very useful tool that will help you save tons of time preparing mail while adding a little sparkle to every envelope! 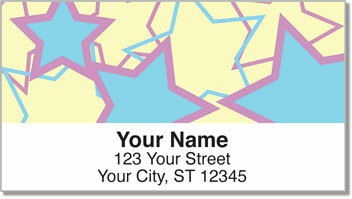 Order you own Multi-Colored Star Address Labels now! This selection is also available as a set of matching personal checks!